All-Tech (Midlands) has been supplying and installing gate automation for over 20 years. As the Midlands distributor for market leading manufacturer BFT we have a wealth of experience and can offer anything from a DIY kit to a full installation on existing gates or on a beautiful new set of gates from our Parsons Brothers gate manufacturing division. Click here to view the gates on the website of our gate subsidiary Parsons Brothers. What types of gates are suitable for automation? Almost all gates providing that they are in good condition. Posts and pillars must be strong and vertical. We recommend that new brick pillars should be steel reinforced 1 metre into the ground (we can provide suitable steelwork). If the pillars are doubtful the gates can be re-hung on steel posts abutting the pillars. We will advise and can carry out any necessary rectification work. 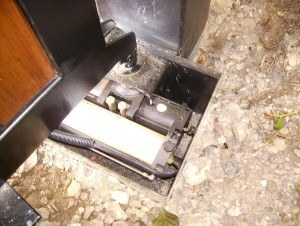 Gates with underground motors only require a top hinge. The motor forms the bottom hinge bearing the full weight of the gates. Load bearing foundation boxes are supplied which have the advantage of allowing the gates to be installed prior to the motors, and of allowing subsequent removal of them for service without removing the gates. Sliding gates can be a good solution if the drive slopes upwards towards the house and outward opening is impractical. It is possible to convert existing swing gates to sliding operation whilst giving the illusion that they are still swing gates. Sliding gates are a good solution where security is a priority. Automation of swing gates divides between above and below ground, electro-hydraulic and electro-mechanical, 230v and 24v. You will appreciate that with such a variety of operators to choose from it can be difficult to choose the correct one. In general terms electro-hydraulic tends to be heavier duty for big gates and/or busy sites. Above or below ground may be aesthetic or practical (it might be impossible to install one type, for example, due to obstructions). 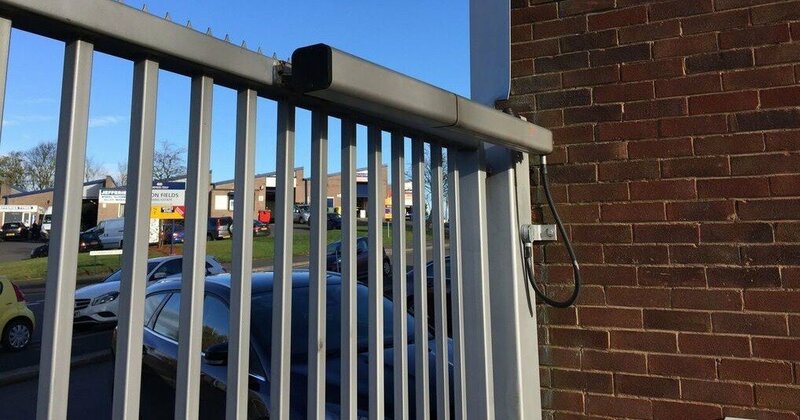 24v operators (mechanical or hydraulic) offer sensitive obstacle detection technology but this might be a problem on solid gates that could be affected by windy conditions so 230v would be more appropriate. 24v systems can also be installed where no power supply is available, with the BFT solar charging battery system. 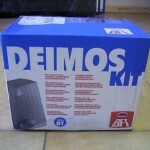 This system uses the latest technology to ensure virtually no power drain when the gates are not in use. BFT have a range of heavy duty 24v operators including powerful hydraulic units and recent tests on one of the most powerful units showed 100 cycles without any battery charging connected. For high usage sites multiple solar panels to improve charging and interchangeable battery packs are available. Safety is an issue that we take very seriously. Three children have been killed by unsafe gate installations in the last couple of years so you will understand why safety comes as standard not as “an option”. We use all the available technology to meet the latest Health and Safety Executive recommendations. This includes the use of 24v. operators, photo-cells and safety edges coupled with safe design to minimize hazards as far as possible. We offer an extensive range of access control solutions from remote control, vehicle tag readers, mobile phone controls, digital keypads, token readers etc. Intercoms can be hard-wired audio or video in mono or colour. 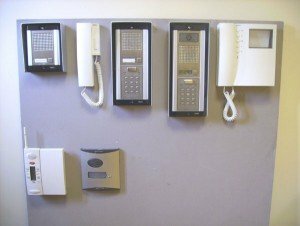 Wireless systems are available which allow a cordless handset to be moved around the property enabling speech and opening of the gates. Telephone based (land line or mobile) systems enable multiple dwellings to be easily connected. The intercom at the gate makes a phone call to the property which can be answered on any phone in the house. The gates can be opened by pushing a key on the handset. Calls can go direct to a mobile if preferred or can divert to one if the primary number is not answered within 20 seconds. 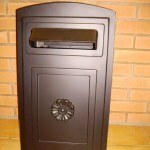 We offer a range of large capacity post boxes which can be free standing or attached to posts or mounted in railings, or built into walls. As you will understand from the above there is a huge range of equipment available and it is important that the right selection is made. We strongly recommend that you call us to discuss your requirements as most people buying on-line without advice end up with unsuitable equipment.